See more of Lake Mead and Hoover Dam during a full-day tour from Las Vegas that features a Lake Mead lunch cruise. Travel round-trip by luxury van with photo stops at landmarks such as the ‘Welcome to Fabulous Las Vegas’ sign. 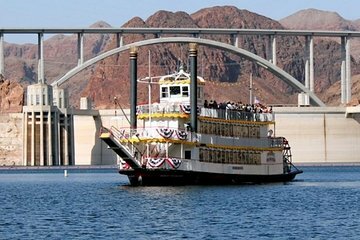 Your guide then shows you Memorial Bridge and Hoover Dam on foot and from the water, with a 90-minute lunch cruise on Lake Mead to top off the day.